You’d probably look at me like I was some crazy person. However, I’m not one to joke around when it comes to doughnuts. So, what’s the deal? 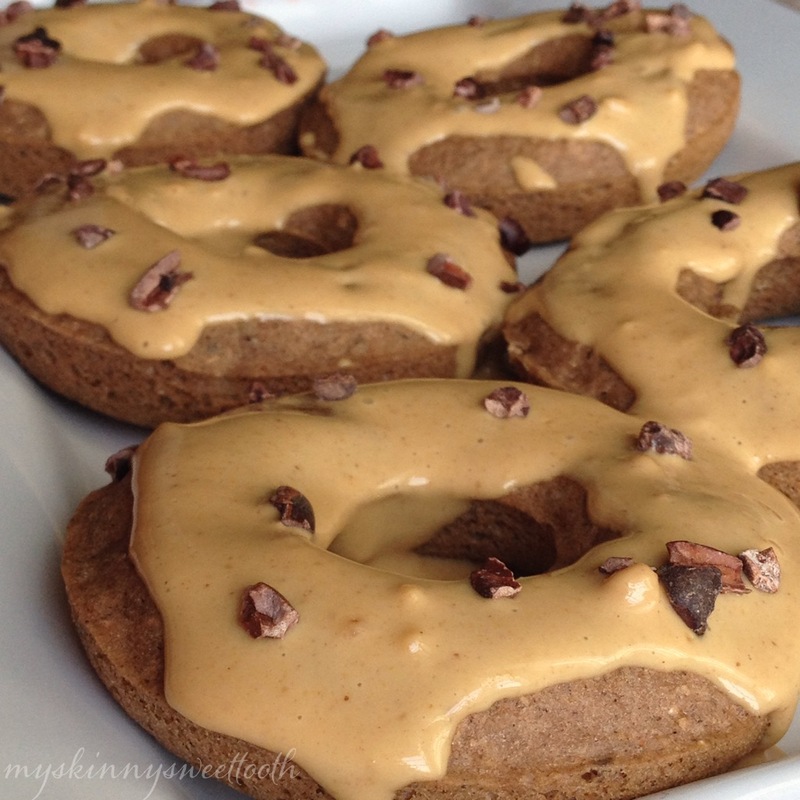 Obviously baking doughnuts is a sure way to lower points. No frying = no additional fat. And remember one of my kitchen intimidations? Yeast? Ugh, I really need to give it a whirl, but not today. 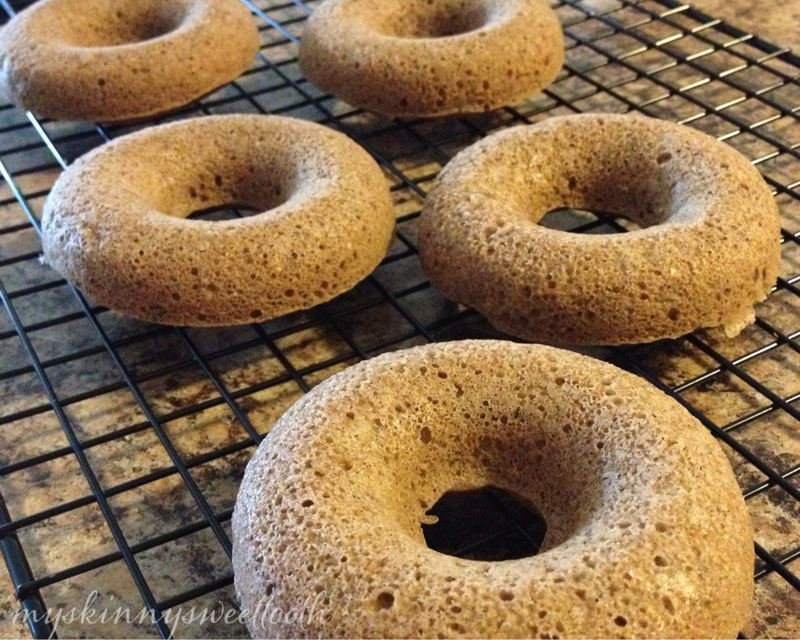 These are yeast-free, done in 7 minutes, healthy, cake-like doughnuts. Secret? 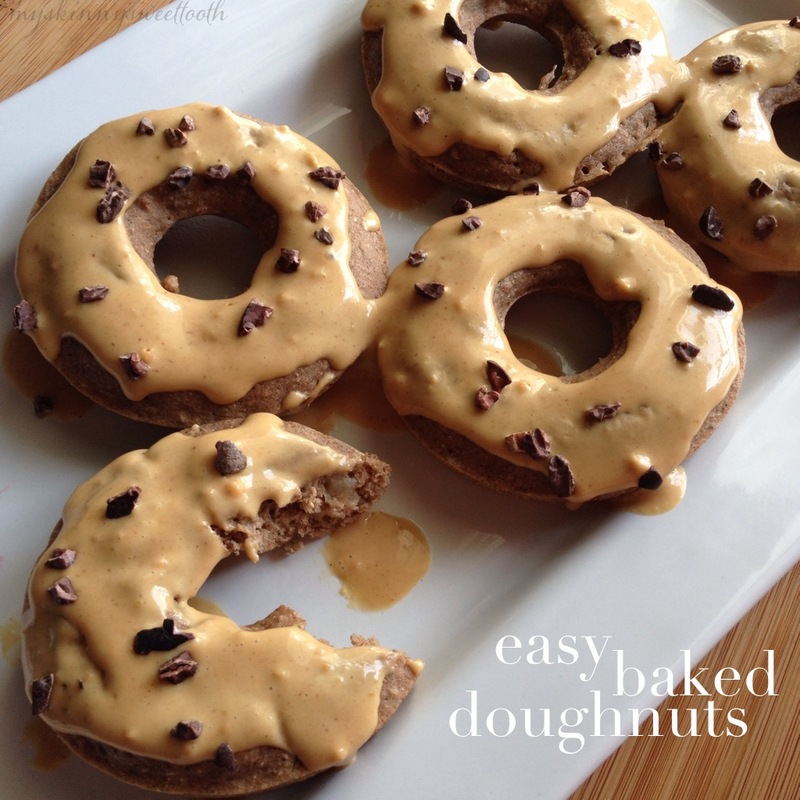 ⋅In a bowl, mix together pancake mix, oats, chia seeds, banana, protein powder, and milk. 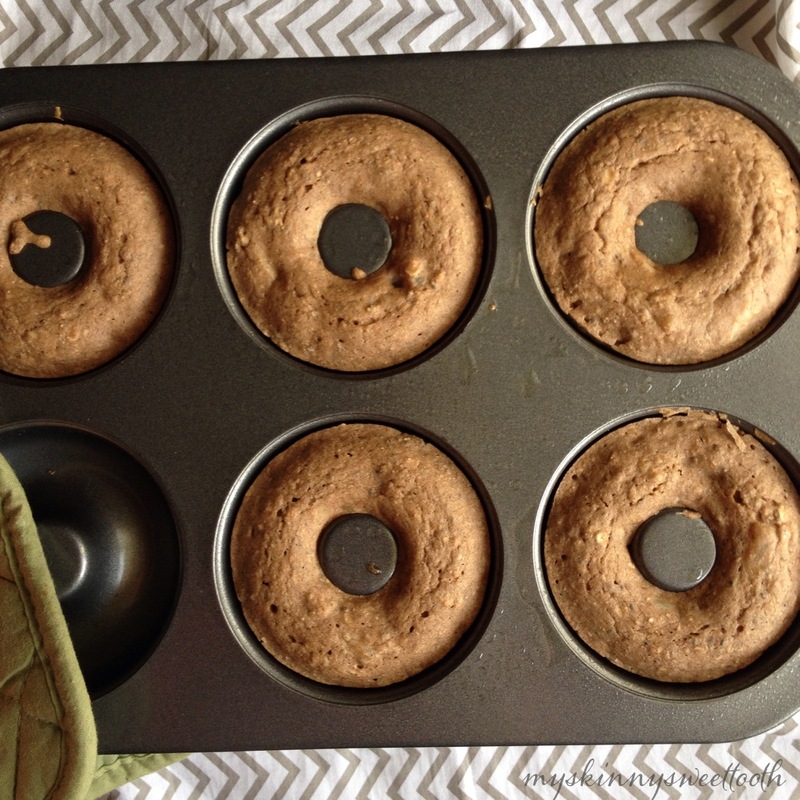 ⋅In a sprayed doughnut pan, pipe in pancake filling 1/2 to 3/4 full in 5 doughnut spots. ⋅Remove from the oven and let cool in the pan for 2 minutes, then turning them out onto a cooling rack. 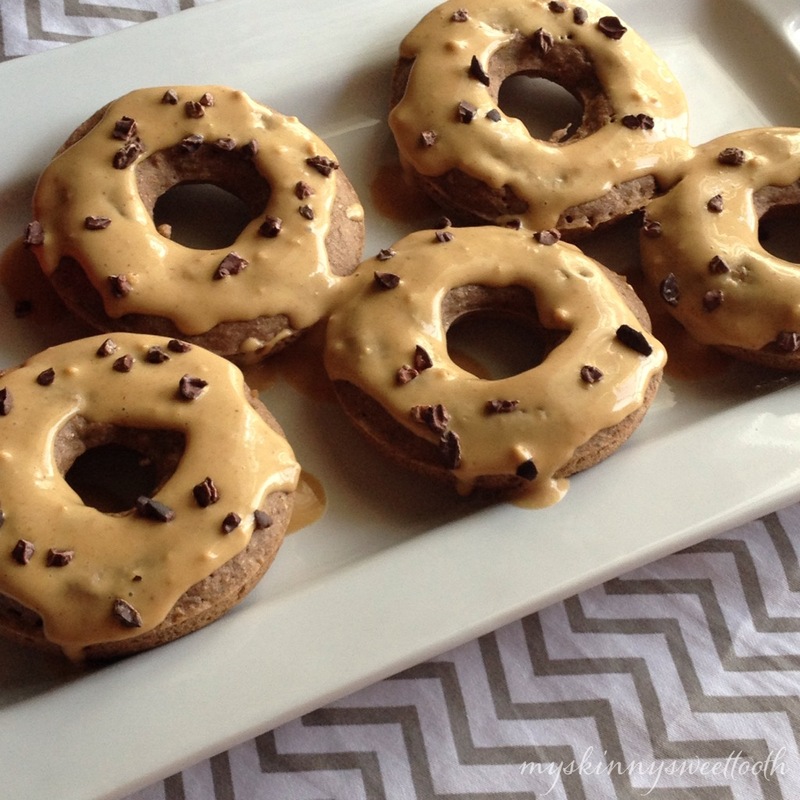 Dip or spoon peanut butter syrup/glaze onto each doughnut & top with cocao nibs if desired. Woohoo! We can have doughnuts again! 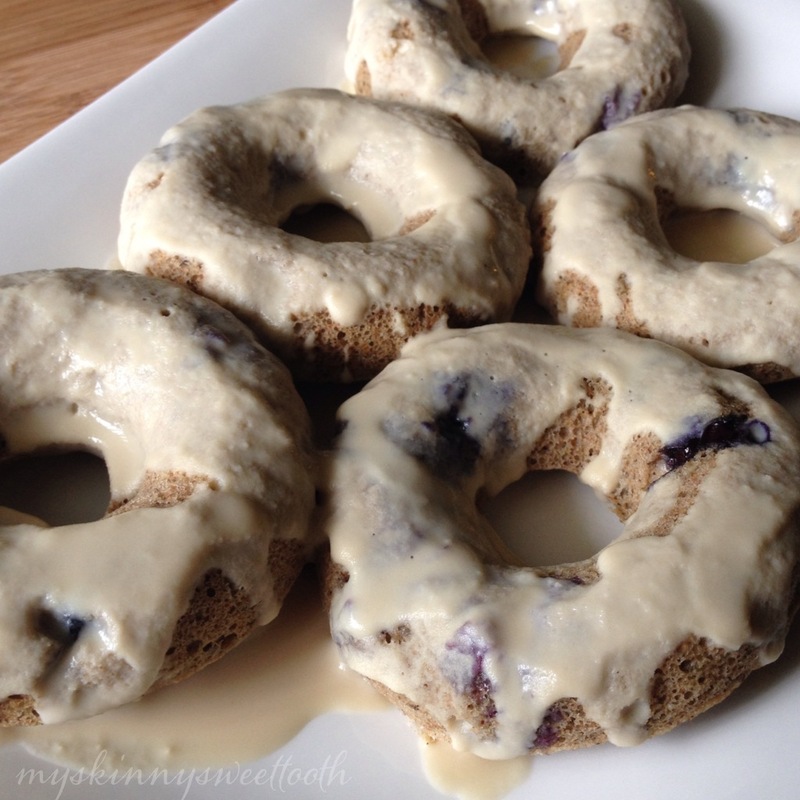 Add blueberries to doughnut mixture (and if you have some teeny tiny ones, sprinkle a few blueberries in the bottom of the doughnut pan before pouring on the mix) and bake the same as above. 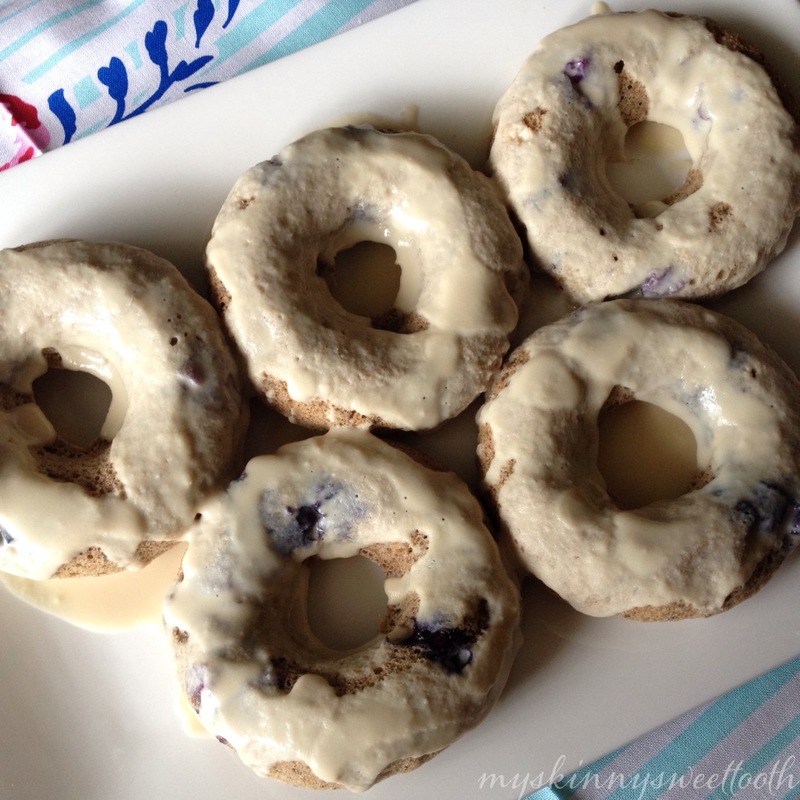 Top with glaze. Enjoy! We’d be glad to have you! Is this a just add water pancake mix? 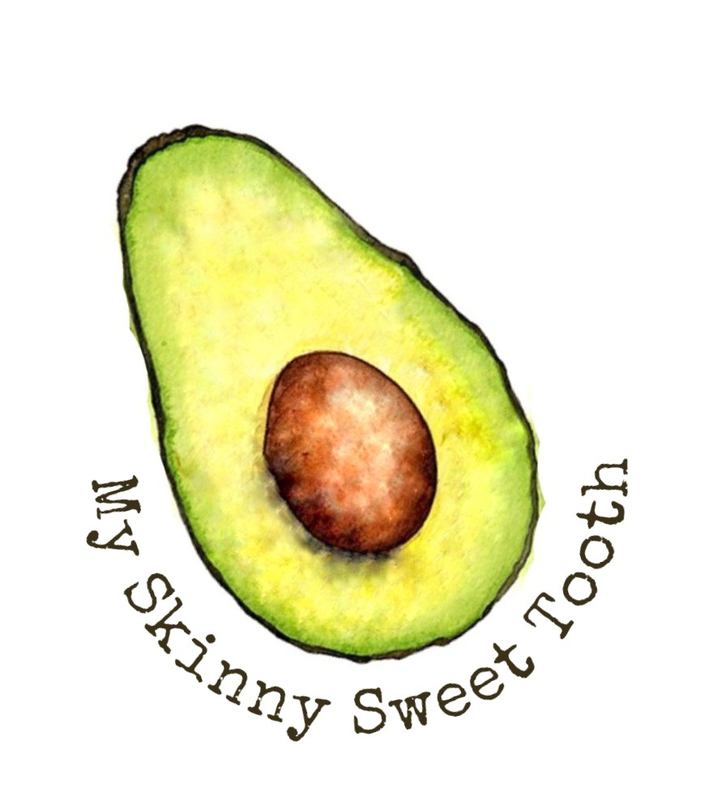 I’m a Canadian and we don’t have that brand.. Maybe you could post the nutritional info so I can try to compare? You can use any pancake mix you’d like 🙂 that brand is just my favorite. It doesn’t even have to be the “just add water” because I believe the directions on my actual box has me adding oil and eggs, but no need for that. I use the chia seeds and banana 🙂 Hope this helps!